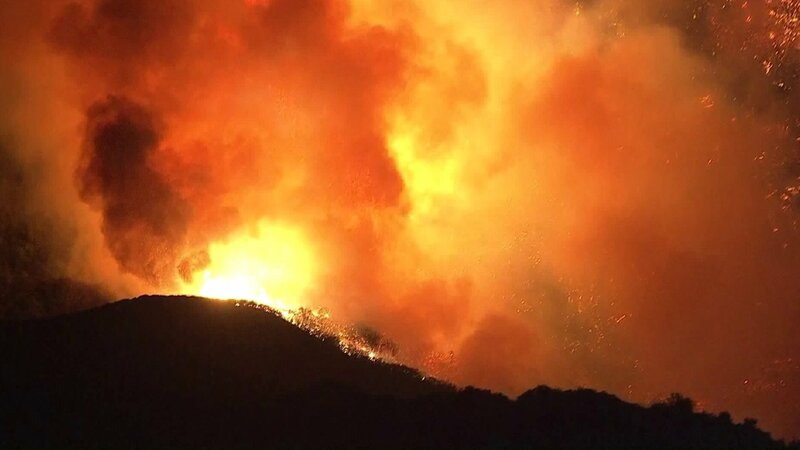 In addition to destroying hundreds of homes and claiming human lives, the Woolsey Fire that began last Thursday burned 83% of federal park land in the Santa Monica Mountains National Recreation Area, per Cal Fire. So far, the fire has burned at least 435 homes, and blazed through some 96,314 acres. LAFD says the blaze is 35% contained. A considerable portion of that 96,314 acres was protected, wild, open space that is home to bobcats, mountain lions, coyotes, and innumerable other indigenous species of plants and living creatures. The destruction of so much land is a “stunning loss of a cherished open space area for Southern California,” writes David Pierson at the Los Angeles Times. Flames consumed the set of the long-running TV series “MASH.” The same went for the Reagan Ranch, named after the former president and actor who used to own one of three parcels that comprise the 44-year-old park’s footprint along with Bob Hope and 20th Century Fox. About two miles west saw the destruction of the Peter Strauss Ranch, named after an Emmy Award-winning actor. The ranch featured a swimming pool and amphitheater and was the site of art exhibits and performances by country stars Johnny Cash and Willie Nelson. All that remained of the ranch house was a few stone walls and a chimney. Public access to the mountain range has been hard fought. It was propelled by the establishment of the Santa Monica Mountains Conservancy in 1980 by the state. Funded with bond measures and led by an ambitious executive director, Joe Edmiston, the agency has preserved tens of thousands of acres of land along the range. KTLA has solid coverage of the ongoing fire disaster here.